Posted April 22, 2019 by Suwannee River Rendezvous & filed under Camping. Before heading out, make a list of all the things you’ll need: water, food, rain gear, a compass and a map. Keep your list handy and check it every time you hike. Always bring more water than you think you’ll need. GPS signals can weak in some areas, and cell phones run out of battery. 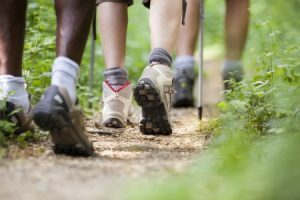 Make sure you have a physical map of the area where you’ll be hiking. It’s easier to lose your way in the dark and you may run the risk of encountering wild animals you’d rather avoid. Set a turnaround time in advance that gives you plenty of time to make it back to your starting point before dusk. In case of an emergency, you should always hike with at least one other person. This way, in case one person is injured or fatigued, there will always be someone nearby to help. Inform someone of your plans. Let someone at your camp know where you’re hiking, when you plan to be back and provide them with emergency numbers to call if you don’t return when anticipated. 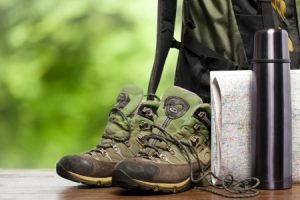 Now that you know how to stay safe on the trail, it’s time to book a place to stay for your next camping trip at Suwannee River Rendezvous! Make your reservation online or give us a call today at (386) 294-2510 to learn more! Posted April 10, 2019 by Suwannee River Rendezvous & filed under Suwannee RV Resort. Give it a good wash.
Just like your home, your RV will need a good spring cleaning. Remove any dust, dirt or grime from your RV using a gentle car soap or RV wax-and-wash soap. Don’t forget the undercarriage! Then, polish all the chrome components of your RV and clean and shine the wheels. Do you spot any missing or cracked sealant on the roof or sidewall seams? It’s important to replace any faulty sealant so that no water can seep into your RV during those spring rains. If your tires need replacing, it’s better to do it before you hit the road. Make sure all tires are properly inflated and use the penny test to make sure they have enough tread for a long journey. Disconnect the battery and clean it with a corrosion-resistant cleaner and lubricant. Keep in mind that, on average, lead-acid car batteries last about four years. This includes brake fluid, antifreeze and transmission, hydraulic and windshield washer fluids. It’s typically a good idea to invest in an oil change before you hit the road as well. Finally, air out the RV and give all its interior surfaces a thorough wipe-down. Now that your RV is ready for the trip, it’s time to book your spot at the Suwannee River Rendezvous. Reserve your campground online or give us a call today at (386) 294-2510 to learn more! Posted February 19, 2019 by Suwannee River Rendezvous & filed under Camping. Getting ready to hit the road for your next camping trip? Before you leave home, you’ll need to pack up everything you want to bring along with you for the journey. 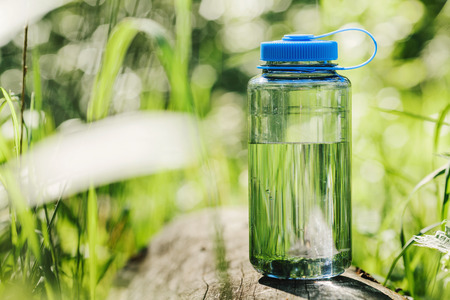 From weather-resistant clothing to food for your fellow campers, you don’t want to leave any necessities behind. Here are a few tips to make the packing process seem a little less daunting. Roll clothes to save space. Clothing can take up a surprising amount of space if you don’t pack it efficiently. To make the most of your available space, roll your clothes into tight cylinders so that everything can fit in a single backpack or suitcase. Trying to decide what you’re going to eat during your trip? Put together a menu in advance so that you know exactly which foods you’ll need to bring. This way, you can consolidate all your food in one place and avoid having to pick up odds and ends along the way. Bring plenty of plastic bags. Camping can be a messy enterprise, and it’s always nice to have a place to store dirty clothes and other belongings. Plastic grocery bags can be used to safely store a wide variety of items during your camping trip, from muddy shoes to empty snack wrappers. Just be sure to take any plastic bags you bring home with you at the end of your trip. 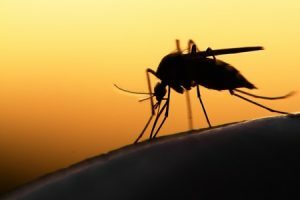 Finally, it’s important to be prepared for any scrapes, bruises and bug bites you might sustain along the way. A simple first aid kit is an essential camping accessory that won’t take up much room in your vehicle. Keep your camping first aid kit in an easily-accessible place where you can always find it such as a glove box or map pocket. At Suwannee River Rendezvous, we have all the amenities you need to enjoy a comfortable camping trip in sunny Florida. Give us a call or contact us online to reserve your campsite today! Posted January 7, 2019 by Suwannee River Rendezvous & filed under Camping. Has your family’s old tent seen better days? If so, you should consider replacing it with a new tent that will get you excited about camping again. Today’s tents are lighter, more durable and easier to set up than ever. 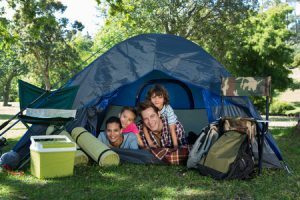 Check out a few tips for finding a tent that’s right for you below! Look for a tent that’s large enough to meet your needs. Are you looking for a tent that’s just large enough for you, or will your entire family be sleeping inside the tent with you? Tent manufacturers tend to be pretty conservative in their capacity estimates, so it’s typically best to err on the side of caution and choose a tent that’s slightly larger than what you think you need. This is especially true for tall people. If it’s just going to be you and one other person in the tent, for example, consider shopping for a three-person tent to make sure you have enough room for you and all your gear. Consider the materials and construction. A tent’s construction will affect its waterproofing and its ability to protect you in extreme weather conditions. In general, it’s a good idea to look for a tent that has a combination of double stitching and folded seems. A tent with these two features will be far less prone to tearing and leaking during rainstorms. You should also pay close attention to the seasons that the tent is rated for. Three-season tents—which are designed for use in the spring, summer and fall—are probably the most popular and cost-effective option for most campers. Four-season tents are ideal for camping in cold climates, but they are heavier and more expensive than what most weekend campers need, especially here in Florida. Make sure the zippers are built to last. During a camping trip, you’ll probably be moving in and out of your tent quite a bit. With this in mind, you should look for a tent that has rugged, heavy-duty zippers that won’t break after just a few camping trips. There’s nothing worse than trying to fix a broken tent zipper in the middle of a camping trip. Ready to put your new tent to good use? We’d love to have you join us here on the beautiful Suwannee River! Just give us a call or contact us online to reserve your campsite today! Posted December 10, 2018 by Suwannee River Rendezvous & filed under Camping. 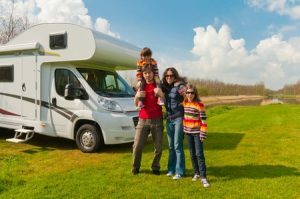 Although it might be tempting to spend the cold months of winter hibernating at home, an RV trip can offer a great way to beat the winter blues and refresh yourself with time in the great outdoors. Most modern RVs are well equipped to handle cold temperatures, but it’s still a good idea to take some extra precautions before you embark on a winter camping trip. Check out a few of our favorite tips for traveling in an RV this winter below! Before you leave, inspect all the windows, doors, storage compartments and access panels on your RV to make sure they are properly sealed with weather stripping and caulk. 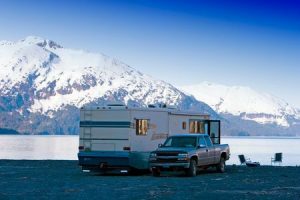 An RV can be a cozy shelter during winter camping trips, but only if it’s properly protected against the elements. The last thing you want is to spend your whole trip searching for the source of a draft that could have been sealed before you left. 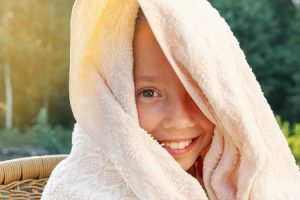 In addition to packing your usual emergency supplies like a first aid kit and weather radio, it’s a good idea to bring some additional cold-weather accessories as well. These include extra blankets and warm clothes, sleeping bags rated for sub-freezing temperatures and tire chains for your RV in case you get surprised by a snowstorm. Taking a winter camping trip doesn’t necessarily mean you need to spend the whole time traveling through a frozen tundra. There are plenty of destinations in warmer climates you can get away to instead! At Suwannee River Rendezvous, our campground and RV resort in Mayo, Florida is open all year round. To reserve a spot for your next winter camping trip, feel free to give us a call or contact us online today! Posted October 29, 2018 by Suwannee River Rendezvous & filed under Camping. Posted October 1, 2018 by Suwannee River Rendezvous & filed under Camping. Getting ready to pack up the car for your next camping trip? If you haven’t been on a camping trip in a while, you may be concerned about the logistics of cooking meals at a campsite. 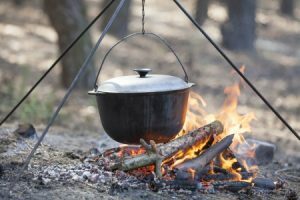 The good news is, there are a few simple steps you can take to make cooking much easier while camping. Check out a few of our favorite meal prep tips below! Come up with a full list of meals you’re going to cook while camping. 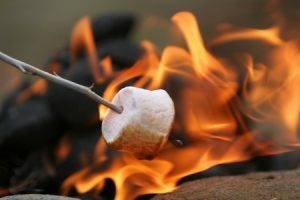 Regardless of whether you’re going camping for one night or an entire week, it’s a good idea to sit down and make a list of what you’re going to eat for each and every meal. This way, you’ll know exactly what ingredients you’ll need to pack before you head to the grocery store. Cook what you can ahead of time. Cooking at a campsite tends to be a little more challenging than cooking at home. Therefore, you should cook whatever you can at home before you leave. The idea of sitting around a campfire cooking chicken might sound appealing, but in reality, it can be a slow and tedious process. Consider cooking things like chicken at home and then reheating them when you’re ready to eat. You can also cut up vegetables, fruits and more at home so that they’ll be ready to cook when you arrive at your campsite. Try not to rely on your campfire to make every meal. There may be times when you’re camping that you just don’t feel like cooking. You want to throw something together that’s quick and easy, like a sandwich. Bring along meals that are simple to make for when you don’t feel like getting a fire going. You’ll be glad you did when you’re exhausted after a day full of hiking, fishing and exploring the great outdoors. At Suwannee River Rendezvous, you can find both primitive tent camping sites and full hook-up sites for RVs. To learn more about any of our campsites, feel free to give us a call or contact us online today! Posted September 4, 2018 by Suwannee River Rendezvous & filed under River Lore. Posted July 30, 2018 by Suwannee River Rendezvous & filed under Camping.